It’s always exciting getting in new glitter tattoo stencils. 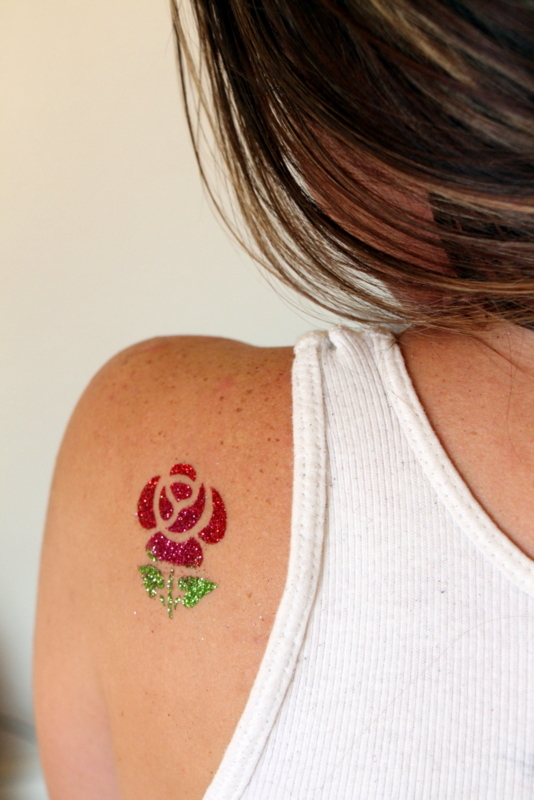 Other than the fact that glitter makes everything 1000% more awesome, glitter tattoos are a unique hit at parties and for special occasions. 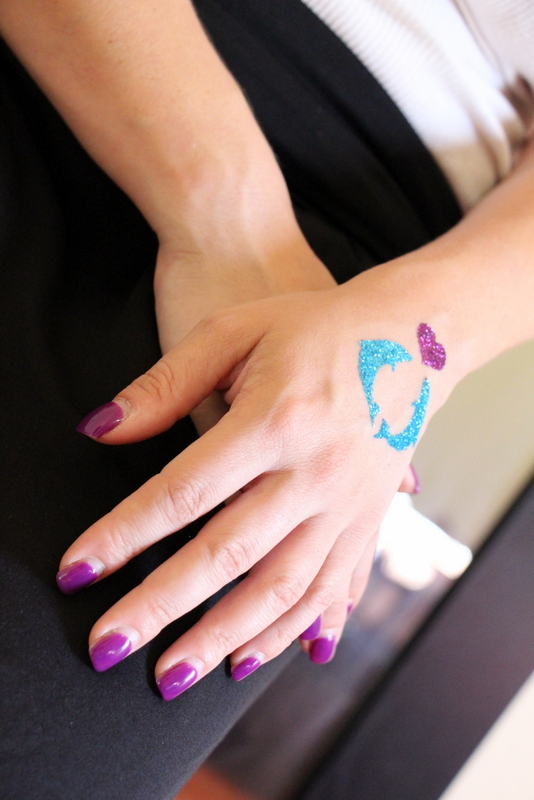 These glitter tats go on with a body glue and is waterproof, which make them a wonderful alternative to face painting. This way the art will not smear getting in and out of the water. The tattoos are also sweat proof, so they will last the whole night for night-on-the-town embellishments. Glitter tattoo designs can be made with stencils or by hand for more custom work. They last very well, around 3 days, if taken care of. They may be taken off with soap, water, and warm rag. Baby oil, or any oil of your choice works even better for stubborn spots or sensitive skin.